Google AdSense Ad Review Center Missing Ads? 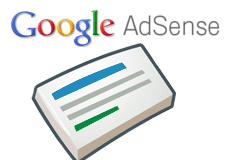 Home > Google News > Google AdSense > Ad Review Center Missing Google AdSense Ads To Review? A WebmasterWorld thread has several reports from Google AdSense publishers that the Ad Review Center has some recent bugs disabling the ability to see new ads for review. Has anyone else seen a lack of new ads in the Ad Review Center the past few days? I have it set to runs ads immediately and typically look at the Review Center once a day using the "new ads in the last..." dropdown to select 1 or 3 days. For the past few days, the 1-day and 3-day views are empty, while the 7-day view hasn't updated in a few days. Over the past couple months (since the new Ad Review Center was implemented), I would typically have dozens of new ads in the "last 1 day" view. As a test, I changed my account from "Run ads immediately" to "Hold ads for 24 hours." The new Upcoming Ads tab appeared as it should, initially empty. I checked back in a few hours and it was populated with dozens of new ads. I switched back to "Run ads immediately" and the Shown Ads tab is again empty when I select 1/3/7 day views. Definitely looks like a bug that was introduced May 7 or 8. Have you noticed this issue?